Harry Reid – Len Bilén's blog, a blog about faith, politics and the environment. The reduction in foodstamp benefits Nov 1 is due to Democrat laws passed in 2010. Aug 10 2010 President Obama signed a bill that he said would save hundreds of thousands of teacher and other public workers from unemployment. Obama signed the measure into law just hours after the House passed it in a special one-day session during what would normally be the lawmakers’ summer break. The $26 billion bill would protect 300,000 teachers, police and others from election-year layoffs. Obama and Democrats said quick action was necessary before children return to classrooms minus teachers laid off because of budgetary crises in states that have been hard-hit by the recession. Republicans called the bill a giveaway to teachers unions and an example of wasteful Washington spending. The bill would be paid for partly by closing a tax loophole used by multinational corporations, but mainly by reducing food stamp benefits for the poor starting in 2013. It passed mainly along party lines by a vote of 247-161. The time is now to pay the piper. The reported reason is the expiration of the stimulus program, but it is not that simple. In August 2010, Congress passed and the President signed P.L. 111-226, which accelerated the sunset of the ARRA benefit increase to April 2014 and used the estimated savings for state fiscal relief through additional federal funding for school districts to maintain teachers’ jobs and maintaining a higher federal match for Medicaid costs. Four months later, the Healthy Hunger-Free Kids Act (P.L. 111-296), which reauthorized Child Nutrition programs, further accelerated the sunset date of ARRA to October 31, 2013, to offset the cost of the legislation. As a result, beginning on November 1, 2013, SNAP benefit levels will be based on the cost of the June 2013 TFP, which is lower than the ARRA levels. To bail out the unions, they all are so greedy. Take it from food stamps! Who cares ‘bout the needy? Will the press even mention that the cuts are caused by Democrat actions in 2010? Posted on November 2, 2013 November 2, 2013 Categories limerick, Obama, Politics, politicsTags food stamps, Harry Reid, Limericks, Nancy Pelosi, Obama, politicsLeave a comment on The reduction in foodstamp benefits Nov 1 is due to Democrat laws passed in 2010.
Insider trading, Crony Capitalism alive and well in Congress. A Limerick. Let it not be said that Congress cannot act fast, if an action is sufficiently urgent or important. Granted the wheels of government usually grind slowly, such as the fact George Washington was promoted to 5 star general in 1976. This latest action may be close to a record for speed. 4 days from introduction in the Senate to being signed by the President. What could have been so urgent? Latest Title: A bill to modify the requirements under the STOCK Act regarding online access to certain financial disclosure statements and related forms. Mr. Cantor asked unanimous consent to take from the Speaker’s table and consider. Became Public Law No: 113-7. Congress must think they are clever. Meant to hide their intent. We need a major cleanup of the corruption and Crony Capitalism in Washington. May I suggest Governor Sarah Palin to do the cleaning up. She did it before in Alaska, Democrats and Republicans alike and enjoyed a 93% approval rating from the Alaskans at her peak. Like Margaret Thatcher: “This Lady is not for turning”. Posted on April 17, 2013 Categories Congress, Crony Capitalism, limerick, politics, Sarah PalinTags Eric Cantor, Harry Reid, Insider Trading, Limericks, Sarah Palin, STOCK Act2 Comments on Insider trading, Crony Capitalism alive and well in Congress. A Limerick. 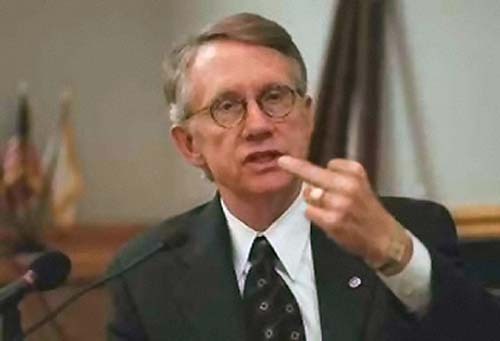 Harry Reid blocks vote on Obama’s tax hike proposal. A Limerick. Obama must think it is time to smoke weed. We’ll go over the cliff, it’s Obama’s misdeed. Posted on December 9, 2012 Categories limerick, Obama, Politics, taxesTags budget, Debt, Debt Ceiling, Harry Reid, Limericks, Mitch McConnell, Obama, politics, taxesLeave a comment on Harry Reid blocks vote on Obama’s tax hike proposal. A Limerick. No budget passed in 3 years, Obama’s last failed 97-0. Blame the Republicans! A limerick. A thousand days passed and no budget in sight. The Democrats will not do anything right. Fail our country in need. They blame the Republicans, try as they might. Posted on February 2, 2012 Categories budget, limerick, Obama, PoliticsTags blame, budget, Harry Reid, Limericks, Obama, politics, taxesLeave a comment on No budget passed in 3 years, Obama’s last failed 97-0. Blame the Republicans! A limerick. Harry Reid and the Tea Party Limerick. When members of the Tea Party say that pork is federal money wasted to create jobs, then they know little about the realities of what goes on in Washington, Sen. Harry Reid, (D-Nev.) told CNBC Oct 22 2010. 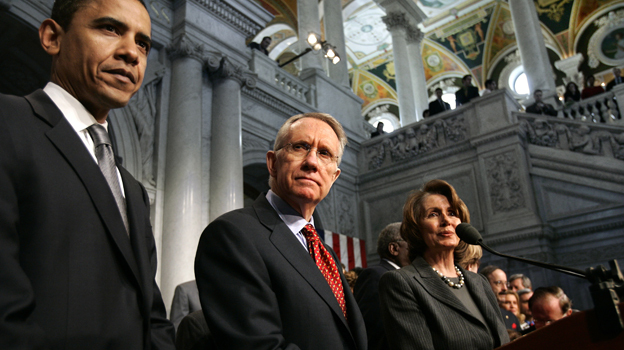 “Whoever suggests that knows nothing about government, zero,” said Reid. Reid, the Senate majority leader, who is in a tight race against GOP challenger Sharon Angle—a Tea Party favorite—was taking direct aim at the conservative group, which favors a limited role of government. “The Tea Party knows not how government works”. We all get along, though we have our quirks. we squander our wealth like a bunch of berserks. Posted on January 30, 2012 Categories limerick, PoliticsTags Harry Reid, Limericks, politics, taxes, Tea PartyLeave a comment on Harry Reid and the Tea Party Limerick. The real witchcraft in Washington. A Limerick. They’re squandering wealth: Generational theft. While Nancy and Harry their magic wands weft. Posted on January 29, 2012 January 29, 2012 Categories limerick, PoliticsTags Harry Reid, Limericks, Nancy Pelosi, WitchcraftLeave a comment on The real witchcraft in Washington. A Limerick.